four poster twin beds, mahogany. Good shape but to look new, require refinishing. Never refinished in past. No serious scratches or dents. Steel connecting male-female steel. 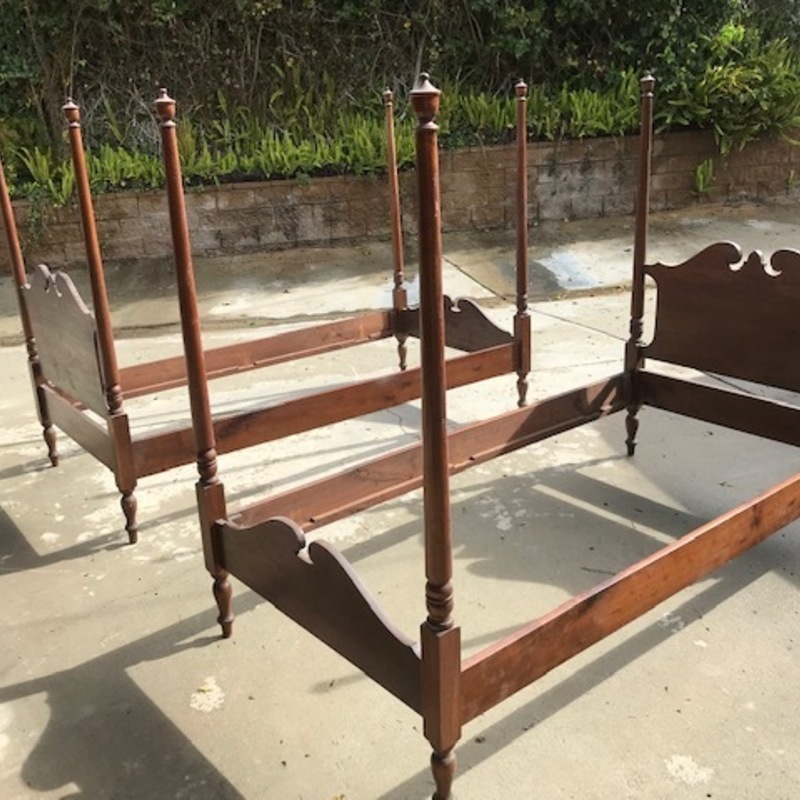 You have a pair of American Colonial Revival mahogany twin beds, possibly made about the time your grandparents acquired them in the 1930s. Their value will not diminish by refinishing them, and by improving their appearing may improve their value, though this is likely not going to be much. If the beds are usable, they can be safely used without decreasing their value. I hope this information has been useful to you; please let us know if you require additional information. Thank you again for using Mearto.